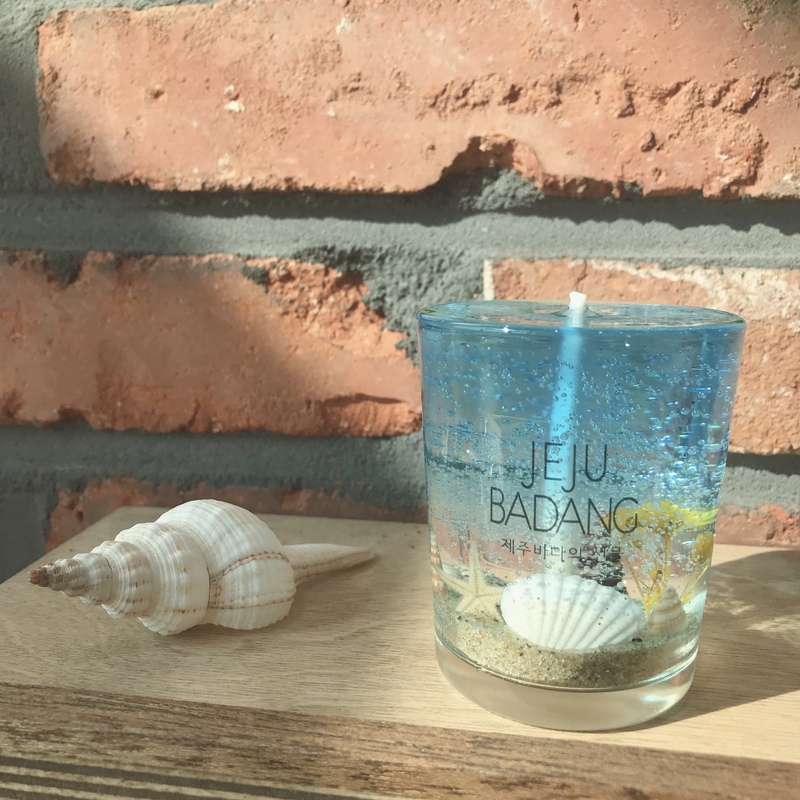 If you visit jeju Island, you may not want to miss these beautiful handmade candles! 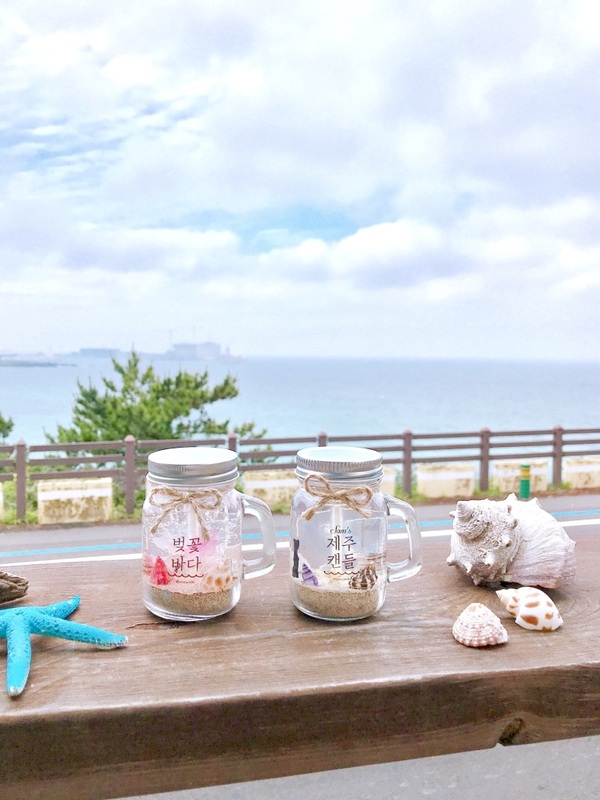 One of the must buy souvenir in Jeju Island! 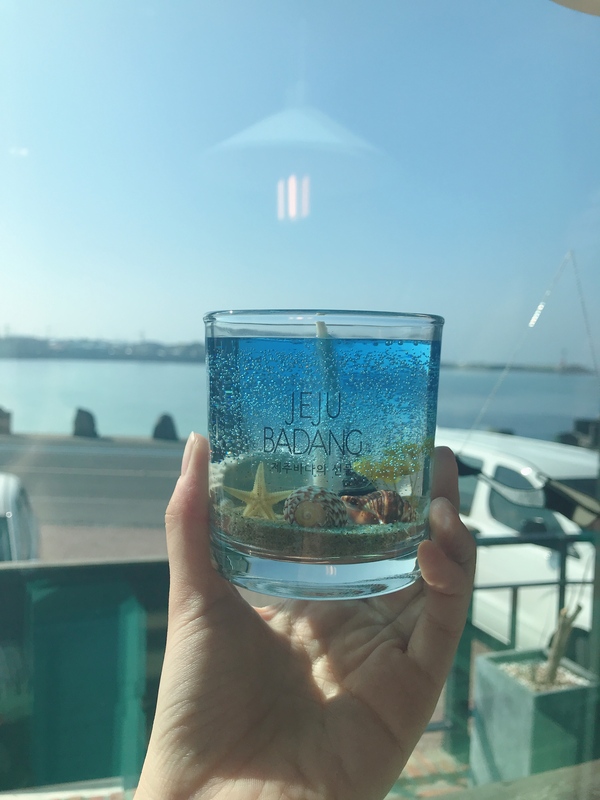 You can feel Jeju’s sea through this magnificent candles! 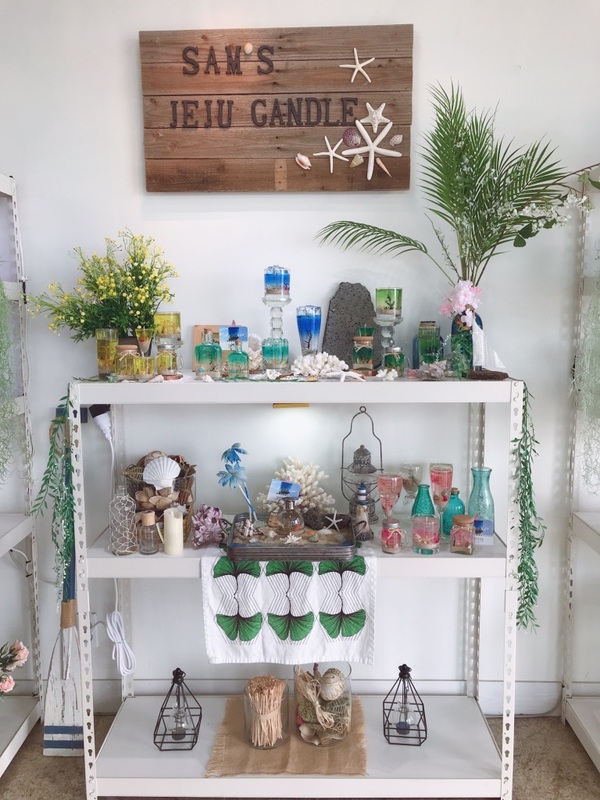 There are two well known handmade candle shop in Jeju. One is near sightseeing spot Udo and Seongsan Ilchulbong Peak, the other one is near Jeju city. 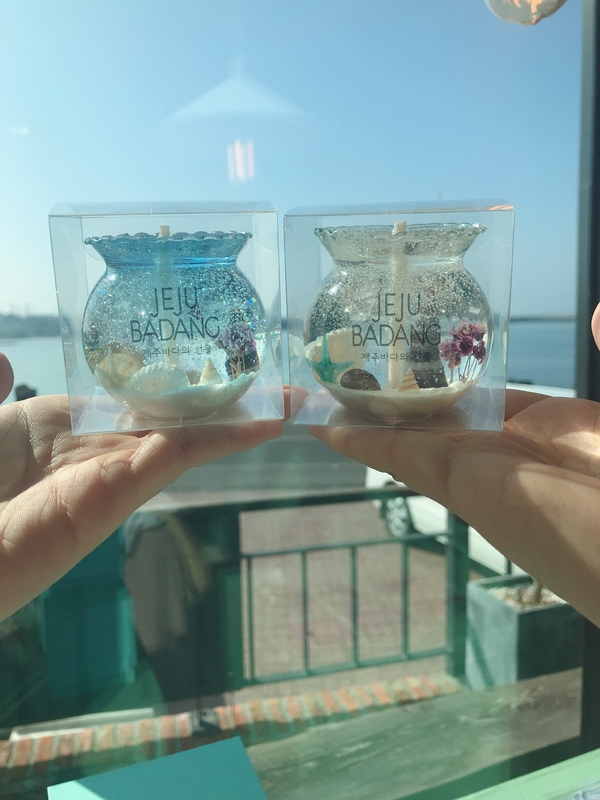 Both sell gorgeous handmade candles, although the design will be a bit different. 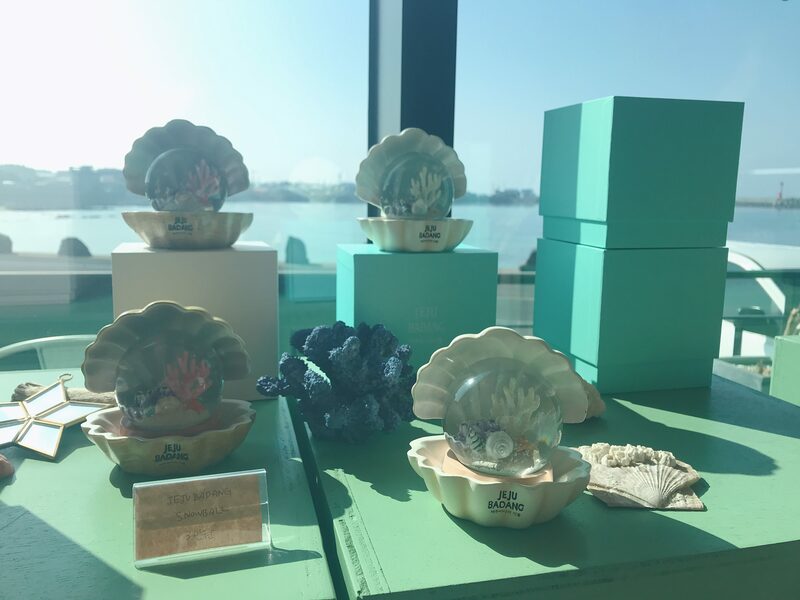 The candles are priced from 10000won to 40000won, and they have various colours, shapes and sizes. The smell of each candle is different as well. 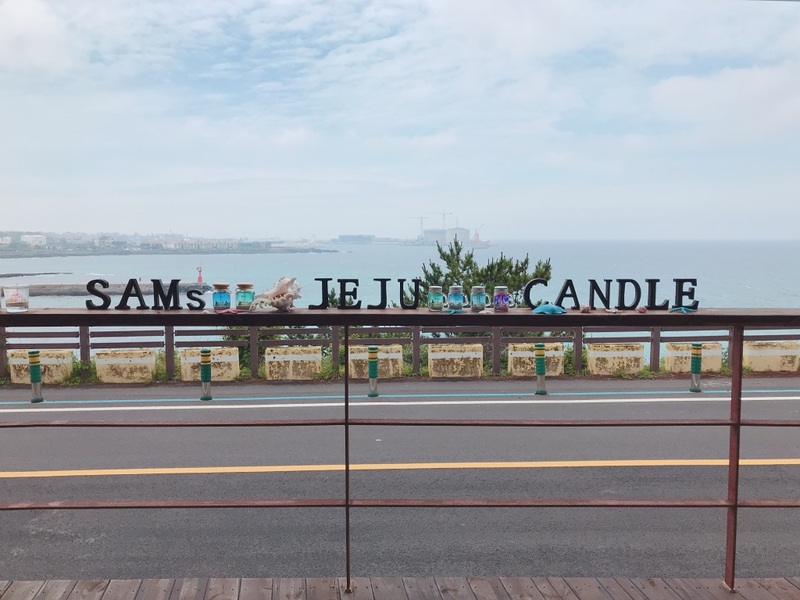 Badang Candle is near sightseeing spot Udo and Seongsan Ilchulbong Peak. If you are visiting these places, you can also visit this shop on the same day. 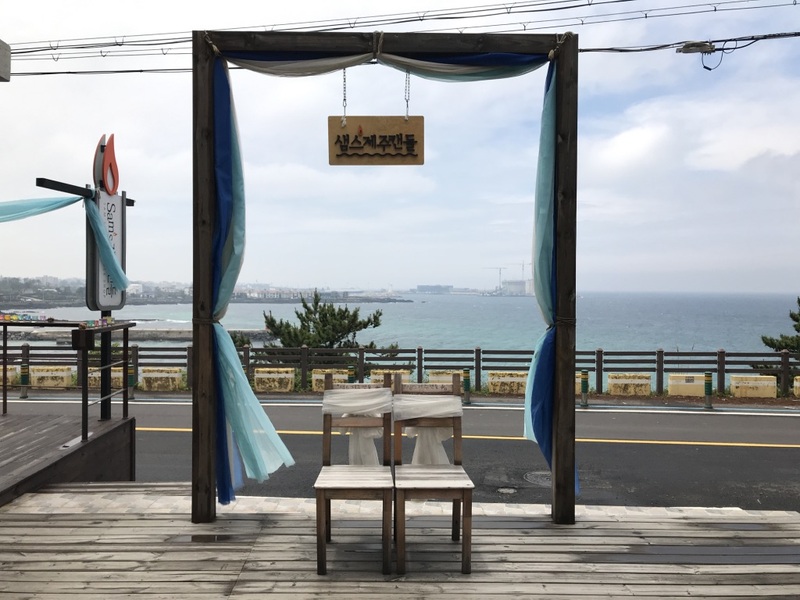 ‘Badang’ in Jeju’s dialect means ‘sea’. 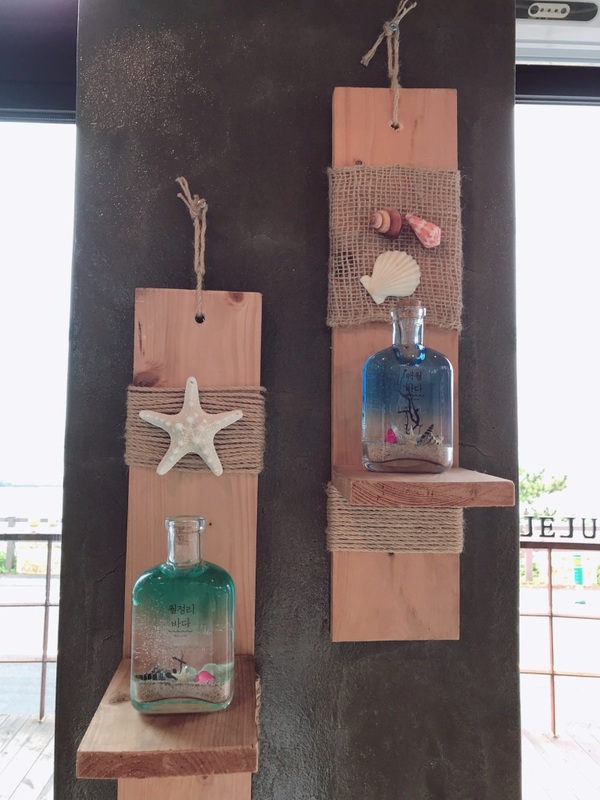 This shop is very close to the sea. And it is also a cafe! 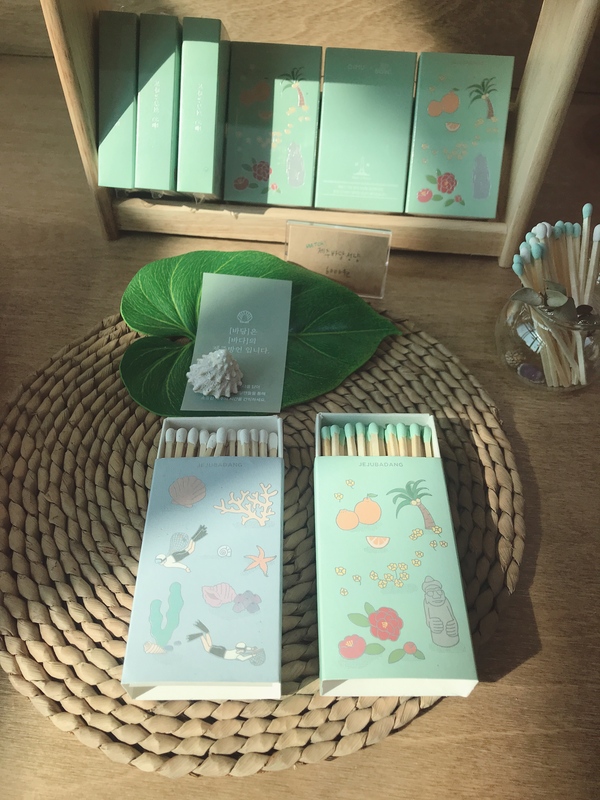 They also sell other stuff such as diffuser, masking tape, box of matches and badge magnet etc. 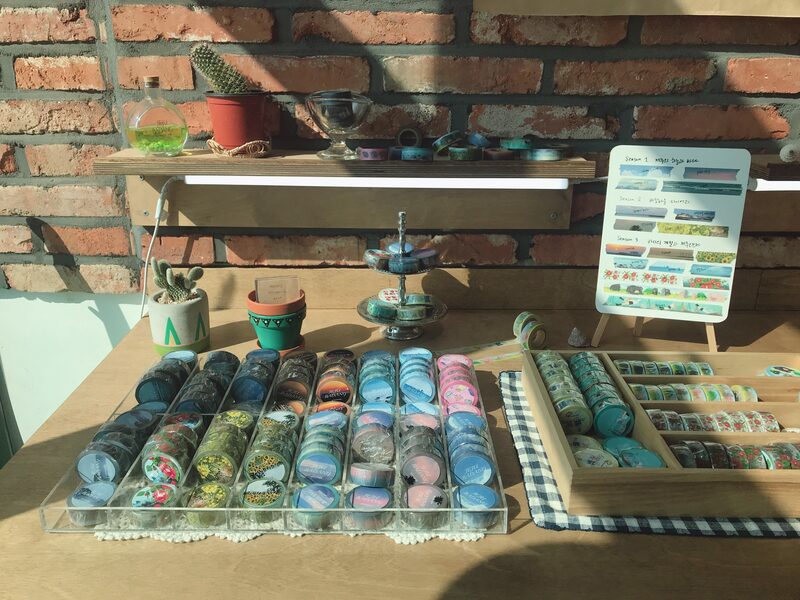 This entry was posted in Souvenir, goods and tagged activity in Korea, attractions in Korea, Jeju island, Jeju trip, Korea, Korea trip, ‪‎travel.